Helping you to design your growth & innovation strategy through revolutionary tools and methods. "Design is a plan for arranging elements in a way that best accomplishes a particular purpose"
We design no ordinary strategies to speed the market, applying design thinking ia a unique and engaging way. Boost and change the way to innovate, helping teams to create, maintain and accelerate company growth. Design a new value proposition of exponential products, services and business models. The 27th March 2019 at Le village by Credit Agricole Milan, through Business Model Canvas method, 40 Credit Agricole Group managers have experienced how to systematically understand, design and differentiate a business model. We crossed the 9 blocks of Canvas, working on real business cases helping and each team to build a winning business model. With the Business Model Canvas, everyone has the opportunity to understand complex elements that affect the operation of an entire company, in a simple and extremely intuitive way. This happens because the canvas is based on a visual language that is quick to learn and accessible beyond the professional background: this allows maximum alignment between the people involved and, at the same time, represents the great communicative advantage of the Business Model Canvas. Transform insights into shared goals. Which is the role of a sponsor inside an innovation team? The 21 February 2019 the sponsors of 2019 AGOS innovation teams with company innovation lab & factory created the definition and the role of innovation team sponsor. The LEGO® SERIOUS PLAY® method is a facilitated meeting, communication and problem-solving process in which participants are led through a series of questions, probing deeper and deeper into the subject. Each participant builds his or her own 3D LEGO® model in response to the facilitator´s questions using specially selected LEGO® elements. These 3D models serve as a basis for group discussion, knowledge sharing, problem solving and decision making. The 5 and 6th February 2019 the 6 teams of 2019 Agos innovation community, started the innovation journey learning from the battle with The Hero Plan, a gamified and lean method to design different and memorable proposal through neuro-marketing. 2 intensive days in which all AGOS innovators practiced The Hero Plan method to be ready to apply it to their innovation challenge. The Hero Plan will help AGOS teams for next 12 weeks to be ready to introduce to the innovation board a DNA of a proposal fully validated. Become the protagonist of the classic hero and villain story with The Hero Plan and discover in first person how intuitive could be work on your business strategy, action plan and business model. "Focus on a memorable difference that matters to your customers"
"The Hero Plan, a systematic and gamified lean method to design your strategy"
"Gamification to design strategy and business models. Awesome!" ARE YOU READY TO FIGHT? The 18th January 2019 at Le village by Credit Agricole Milan, with more than 35 Credit Agricole Group managers we discovered that creating new products is only one way to innovate, and on its own, it provides the lowest return on investment and the least competitive advantage. At the heart of the framework is the discovery that: all great innovations, throughout history, comprise some combination of ten basic types. it is possible to use Ten Types to help your innovation efforts in many ways. It can be a diagnostic tool to assess how you're approaching innovation internally, it can help you analyse your competitive environment, and it can reveal gaps and potential opportunities for doing something different and upending the market. The Ten Types of Innovation® framework provides a way to identify new opportunities beyond products and develop viable innovations. The 11th December 2018 we launched, in a dedicate kick-off, the 2019 AGOS innovation community. After a first on-boarding and recruiting phase among AGOS employees, now finally we are ready to start the 2019 innovation program. 30 new innovators will start an amazing journey creating the future of the company working to develop new products, service and proposals from idea to prototypes. We will help the new community and the company innovation lab during all 2019, through the most advanced innovative and engaging tools to design a new company. Workshops, seminars, mentoring meetings and calls, dedicated follow-ups and continuous alignment with AGOS innovation lab & sponsors to grant an outstanding result, presenting in December 2019 to innovation board of the company 6 killer proposal fully validated and prototyped ready to be executed. The 23rd of October 2018 we organised at OPEN Milano, the Disegno Brutto in giacca e cravatta presentation, the most powerful visual thinking method, a new way to learn how to use drawing as a tool for creativity, communication and innovation. DISEGNO BRUTTO helps you develop your ideas by drawing badly and finding new points of view. It's called DISEGNO BRUTTO because it's not important to know how to draw well to communicate, it forces the observer's mind to add the parts of the design to interpret the traits and is therefore more engaging and immersive. Drawing helps to be more creative. You will learn to badly drawing with pride! "Drawing makes you see things clearer, and clearer and clearer still, until your eyes ache. Innovation is a serious game! The 10th of November of 2017 we organised at OPEN Milano, the first LEGO® SERIOUSPLAY® Workshop about Innovation, a challenge to create new products & services. All participants were fully engaged and involved to envision, imagine and and create the future. The LEGO® SERIOUS PLAY® method through a structured problem solving process helped the team to create and shape the future of different business segment creating, in one day amazing projects. During the workshop everybody was part of in-depth discussions, which will give a detailed overview of the problem having clear and common understanding of the issues and how to solve them. "Life is more fun if you play"
8 weeks Innovation Program for AGOS! We run, through The Hero Plan method, a 8 weeks of full innovation program for AGOS with 5 teams and 25 "fighters". The project started the second week of July with an extended workshop to share The Hero Plan culture and language and ended the end of September with the final presentation of all the projects to AGOS innovation board. It was an exciting journey! The different teams managed to create 5 memorable and validated proposal using neuro marketing, lean strategy and gamification. Through The Hero Plan it's easy and fun to create your killer strategy, following the hero's and innocent in danger's metaphor. Using gamification to design strategy and new business model is awesome! "The innovation program is a really intensive and full of magic experience. We are fully engaged and FOCUS FOCUS FOCUS! Just great!" A powerful tool designed to enhance innovation and performances. The 20th of June of 2017 we organised at OPEN Milano, with the help of our partner Stefano Selvini Coach the first LEGO® SERIOUSPLAY® Workshop about Leadership. We engaged and involved the team to build the new style of leadership. The LEGO® SERIOUS PLAY® Method is a facilitated meeting, communication and problem-solving process in which participants are led through a series of questions, probing deeper and deeper into the subject. Each participant builds his or her own 3D LEGO® model in response to the facilitator´s questions using specially selected LEGO® elements. These 3D models serve as a basis for group discussion, knowledge sharing, problem solving and decision making. "You can discover more about a person in a hour of play than in a life of discussion"
The 30th of March 2017 we organized at Domus Academy of Milan the first the Hero Plan Workshop in Italy held directly by Daniel Vecino the best seller author of The Hero Plan Book. It was a great occasion to meet more than 25 customers working on a gamiified and lean adventure using a Battle Board and a story with Heroes and Villains going step by step all the way to the end design of a legendary proposal. 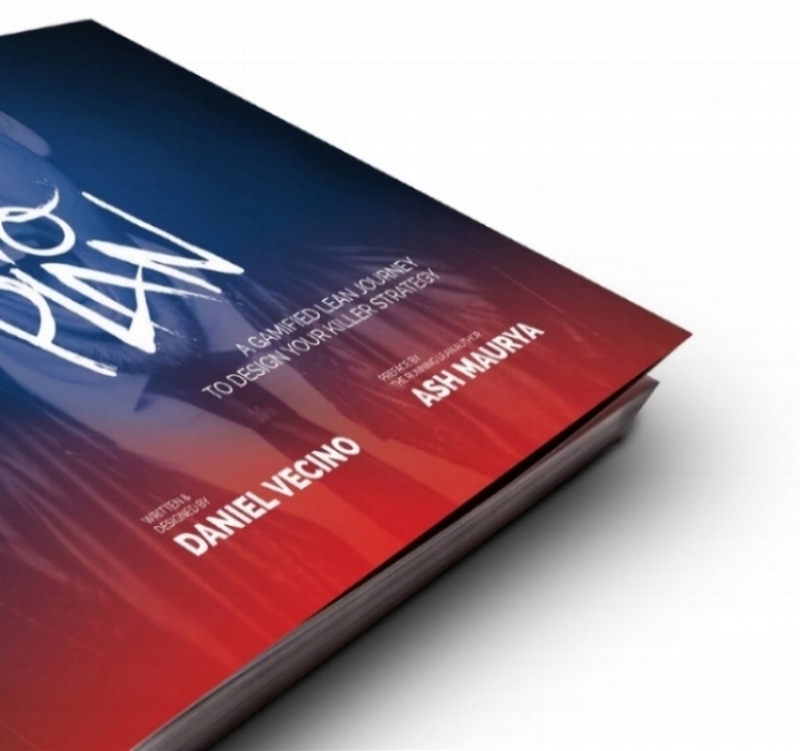 The 7th March 2017 Daniel Vecino introduced in Italy, at OPEN Milano, the English version of The Hero Plan book prologued by Ash Maurya. The Hero Plan is a guide for your battle to find the killer strategy, a strategy that is focused, different and memorable. 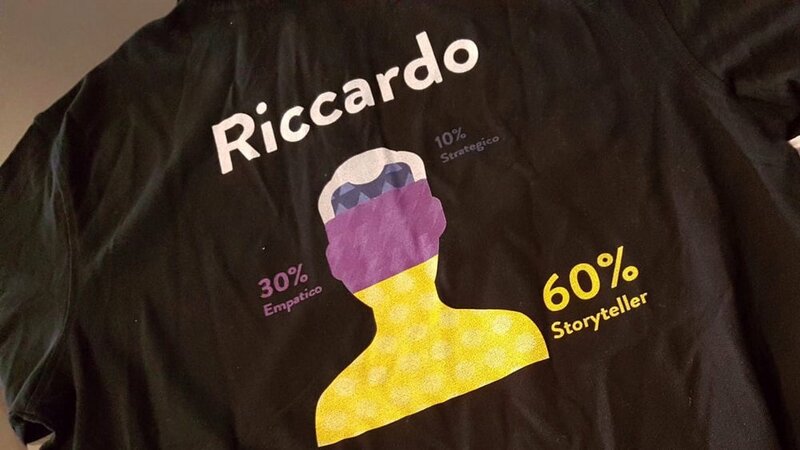 The Hero Plan book is a practical and real application of effective neuro-marketing, gamification and lean techniques. The 21-22 of October 2016 our team run the second Business Innovation Design Workshop in Italy. In less than 16 hours the teams built five new innovative business, leveraging on design as strategic driver for growth. Business Innovation Design can solve various critical business challenges in which innovation is the answer. Good Design is good business! 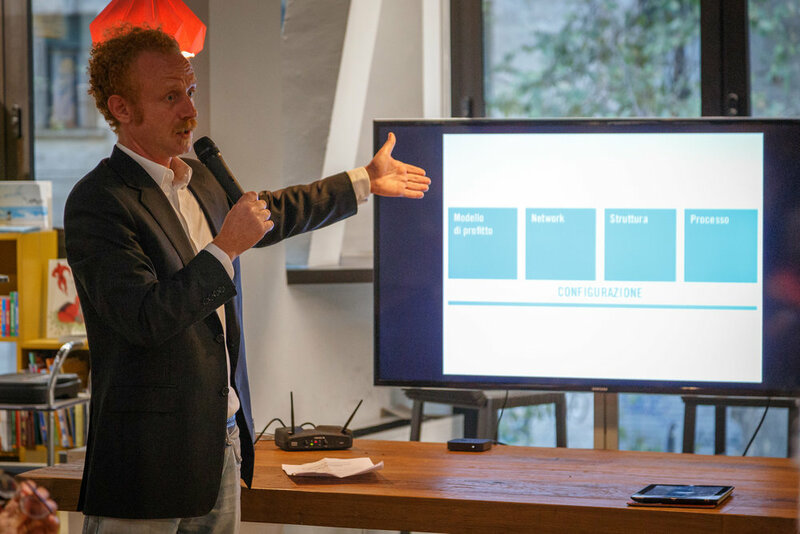 The 17th of March 2016 we organized with the support of Unicredit Start Lab and Domus Academy, the first workshop in Europe of Business Innovation Design with more than 35 participant from 9 Nationalities and the inventor of BID Jeffrey Tjendra. In one very intensive day people learnt how to identify the right problem to solve, design compelling products and services and build innovative business around the solutions. The 16th of February we organized with Hugowiz the first Workshop in Italy of Ten Types of Innovation, the discipline of building breakthroughs. For many years, executives equated innovation with the development of new products. But creating new products is only one way to innovate, and on its own, it provides the lowest return on investment and the least competitive advantage. The Ten Types of Innovation framework provides a way to identify new opportunities beyond products and develop viable innovations.